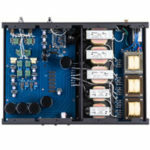 A goodly number of those hoity-toity, big gun amp makers have a serious problem, it’s class D, and its name is Red Dragon Audio, the maker of the S500 amp. No, the company’s products are not made in China, but rather in Utah. The S500 looks fairly nondescript, with a brushed, bright aluminum case and a back lit fire breathing dragon logo. It’s cheap as far as amps go in the High End, under $2,000 for this 500Wpc stereo brick of power. When I set up the Red Dragon S500 and can make any speaker I have perform superbly the question arises, why should anyone pay over $2K for excellent sound? I have recently put the finishing touches on the TEO Audio Liquid Cable review, an exotic product with an equally exotic price tag. Consider that one pair of TEO Standard Liquid Speaker Cables costs more than five times the price of the Red Dragon S500! How did I dare recommend the TEO cables at such a price? Simple, I’ve heard no solid wire conductor to compare, and if the goal is the absolute best sound regardless of price, TEO Cables are the winner. Here, now, I write about a modestly priced class D amp that comes close to accomplishing a similar feat, but with an inverse relationship between price and performance. Imagine an amp that is economically priced used alongside a set of cables that are astronomically priced, both of which in my systems are reference-worthy! Welcome to the wacky world of High End audio system building! When the sound quality is the ultimate arbiter of selection, the enthusiast needs be prepared to follow it into uncharted territory. Also, be prepared to receive scorn from those who are captive to their wallet or a particular technology. As regards connections, having compared dozens of looms of cables, I found that some audacious systems could be built using cables representing a percentage of cost greater than the sum of the components. It’s anything but typical, but entirely achievable; not recommended, but doable. The primary difference with the TEO Liquid Cables is the distinct technological advantage, for which you pay dearly, and because of which you reap disproportionate rewards sonically. After reviewing a few popular class D amps several years ago I concluded that they were not yet ready for prime time. Turning my attention to class D amplification this past year, I wanted to see what had transpired over the past three years. 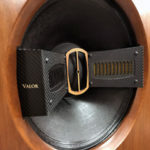 What I found is that Class D has developed to a level of performance I had not expected, to the point that the S500 performs better than the majority of Class A and A/B, as well as tube amps I have reviewed. The Red Dragon is not the only shocker in terms of amps I have found lately; the Nelson Pass-designed First Watt J2 is also dreamy. At the other end of the power spectrum from the Red Dragon, a solid state JFET design, the J2 is a softer, slightly more laid back cousin to the S500. The valuation of these two pairs of amps means that the audiophile with the hankering for pricey stereo amp or pair of mono blocks can potentially do better x2. Not only can they have the high-power setup with the Red Dragons, they can have the lower power setup with the J2 – make that a pair of them. Consider, the pair of S500 is $3,800, and the pair of J2 tips the scales at $8K. If desired, one can have the capacity to assault reference sound at both ends of the power spectrum for less than many premium priced amps! I will be writing my own article discussing more intimately the First Watt J2, so for now the focus remains on the Red Dragon S500. Yet another variety of surprising amplification is the newly arrived SST Son of Ampzilla II, which is a variation of the unusual push-pull solid-state design of the late James Boingiorno. Several years ago, I made a comparison between the Ayon Spirit Amplifier and a pair of the Pathos Classic One MkIII integrated amplifiers running in mono mode. I suggested that they each had its own particular legitimate flavor, one akin to salt and the other to pepper. Similarly, I find the Son of Ampzilla II and Red Dragon S500 to be dissimilar, but comparable in capabilities. The sound of these two is a great deal sweeter than those older amps, so perhaps I might suggest the S500 is like white sugar and the Son of Ampzilla II is like brown sugar. They are both super-sweet to the ear and intense, but the one has a darker, more syrupy presentation than the other. The discovery of these products confirms that we are in a new era of sensational performance relative to cost in the hobby. 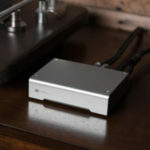 With the advent of integrated DACs and the capacity of sub-$5K amps at my fingertips, I am building competitive systems to those using a more traditional chain of source, preamp, amp and speakers of yesteryear. Audiophiles both of long and short duration in the hobby should exult! The only ones who will lament are the makers of gear that have not developed new designs to accommodate technological changes. The Red Dragon S500’s aircraft-grade, extruded aluminum chassis measures 16”x7”x3″; two of them should fit neatly on a standard sized audio rack shelf or amp stand. The red illuminated fire breathing dragon logo ensconced on the front panel raises the fun factor of the amp. The back of the amp is cramped, with selectable XLR and RCA inputs for the proprietary Input Buffer Stage. It can be operated in stereo or mono mode; a recessed push button controls this function. The S500 uses the latest Pascal module and the amp incorporates Power Factor Correction. Also included is a 12V DC trigger Input and Output via 3.5mm connections. The amp has short circuit, thermal, and over-current protection. Universal Mains operation ensures the amp will operate anywhere in the world. Small labeling of inputs and outputs, as well as some notation residing under the speaker posts necessitates having to grab a flashlight and lean in close to ensure proper connections. If the amp is in a tight spot, you can use the Owner’s Manual diagram and work to make connections by feel, which I did for many years on equipment when I had systems housed in my bulky entertainment unit. The binding posts are WBT NextGen Pure Copper with gold coating. Thankfully, bi-wiring with two sets of spades when the amp is in mono mode is not problematic because the S500 does not use posts having plastic terminals with collars, a type of post I am coming to dislike. The amps are warrantied for five years. They are rated at 2×250 Watts at 8 Ohms and 2×500 Watts at 4 Ohms. In bridged mode at either four or eight Ohms the rating is 1,000 Watts. The minimum load is specified as 2 Ohms. If you are concerned about the S500 driving a particularly inefficient speaker, consult Red Dragon. After hearing how a well executed class A amp sounds, (Luxman L550AII) I’d be hard pressed to even audition an amp like that. Maybe I’m missing out??? I recall reading your glowing review of the Wells Audio Innamorata amplifier. 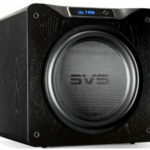 Within the review it sounded as if it was your amp of choice and would become a benchmark. With that said, how do you now compare it to these class D amps? Well, that’s what demo of products is for; Red Dragon offers a demo plan. I did demo with no commitment to buy. That is the ideal scenario if one is looking for a change. The situation with the Wells Innamorata was influenced by reviewing. There are situations where I require four or more channels of amplification and I wanted bridgeable amps to do so. I hadn’t reviewed a larger actively crossed speaker in a few years and I plan on it, so that factored into why I switched. The Innamorata is a gorgeous amp, and I still love it. But, in my rationing of money for components and speakers a second Innamorata was costlier and would throw off my allocation for other elements of the system. In addition I had speakers to pay for at the time. I was not able to conduct a head to head comparison between the Innamorata and the Red Dragon S500, but I do know I can build gorgeous systems with both. The Innamorata is more relaxed and supple, and the S500 is more aggressive and intense; different flavors of excellence. Thank you for the complement; it is encouragement such as yours that makes reviewing a joy. I believe the Red Dragon and the Pascal module is gaining traction. It’s a sweet class D sound. I just don’t agree with your comments about N-Core class D amplifiers being over priced in comparison with Pascal class D. Take Nord for example at around £1700. Or the world class contender Mola Mola Kuluga’s at £9,995. I’m not saying RD is not good, because I haven’t heard them, but my experience with Pascal based amps so far leads me to conclude they are not as good as the N-Core amps I have used.